Regular guest quester Rachel had suggested I should consider lunching at Al Mercante during my time in Milan. Along with husband Richard, she’d enjoyed a very good meal there when they were in town for the Formula 1 at nearby Monza, last year. Handily placed for the Duomo, I popped in for a late lunch on what was a very hectic Saturday in the city centre. Al Mercante was well populated but a very welcome oasis of calm with their dining space very refined and elegant. The menu felt well-considered with a broad range across a compact a la carte and daily changing list of specials. 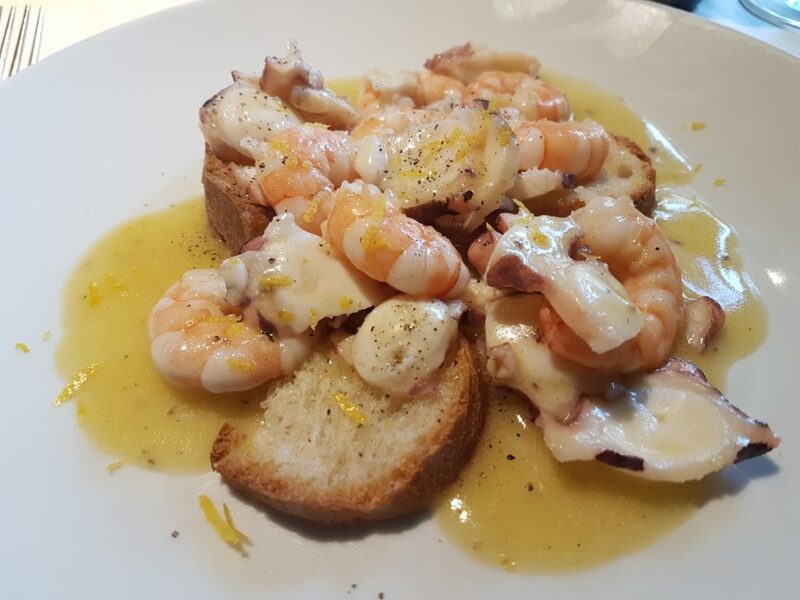 I started with the octopus and prawns then followed with a classic risotto Milanese. The seafood starter was a bountiful portion of very well cooked items. Served with a rich lemon butter sauce and some simple wafers of bread, this was really satisfying stuff. It’s worth pausing to highlight just how much of a saffron town Milan is. 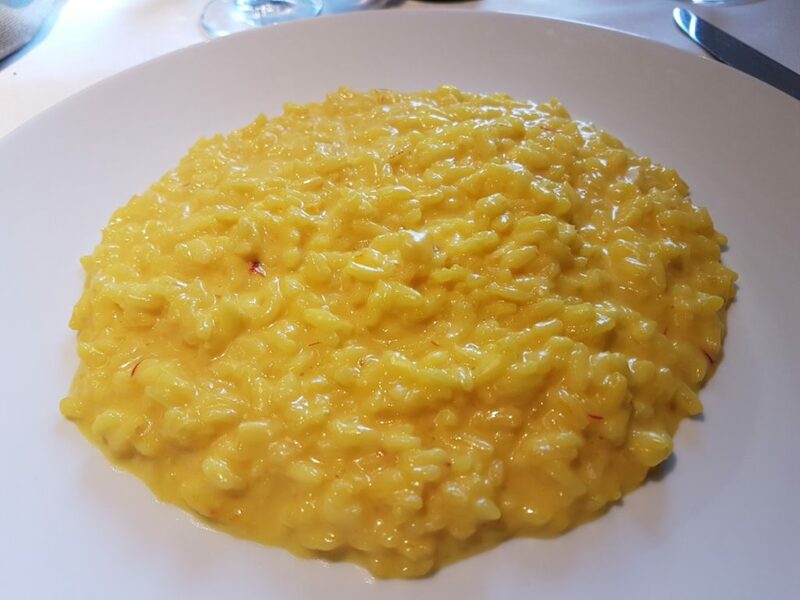 Aside from their signature dish – risotto Milanese – being a saffron risotto, Fratelli Branca – the makers of Fernet Branca et al – apparently accounts for around 75% of the world’s annual saffron usage in the production of Carpano Antica, Fernet and the like. Remarkable stuff. I am not the world’s biggest saffron fan but this risotto was beautifully prepared with the seasoning spot on. It felt like I’d chosen the right restaurant to sample one of the city’s most famous dishes. Overall, Al Mercante served me a really good, simple lunch in very stylish surroundings. Given its proximity to some of Milan’s major attractions – not least one of their main luxury shopping streets – it’s a place worth knowing about. Check it out next time you’re in town.